Two Friends have had a big 2017 so far and they continue with their stream of releases, dropping this hot potato called "While We're Dreaming" feat. Kevin Writer. This track captures their characteristic sound profile very well during the verses, however the drop has a more experimental style, which feels refreshingly different.. This is partly because it's not overly clogged up with unnecessary fills, has some nice breaks for effect and still brings a superb melody and lots of feel good energy. 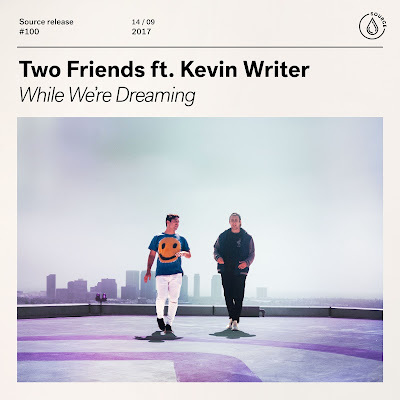 "While We're Dreaming" is out now via Source on most major platforms. Give it a spin right here, or check the link below for alternatives.